A couple of weeks ago, I happened to bump onto one of the Occasion/Joop boss at one of the wedding fair. I almost couldn’t recognize her and very thankful that she actually recognized me! HAHA. After which, I was invited to be one of their in house model again. Thank you and I'm very honored! 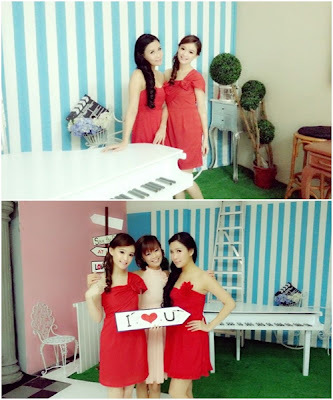 The shoot was held at La Belle Couture's new studio. 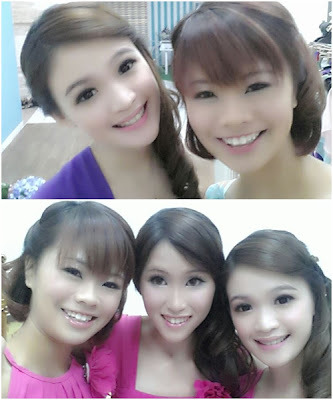 So coincident that they actually used La Belle’s studio and even their MUAs. When I was there, there was this MUA that helped me with my make-up and hairdo. I find her very familiar but I just couldn’t recalled who she is because she was wearing a mask. After which, she said “为什么我越画你，我越觉得你的面善”(HAHAHA!) and I told her that I find her familiar too. We then realized that we actually know each other. She wasn’t my MUA on my ROM day but I knew her through my coordinator in La Belle. HAHA! Such a small world right? 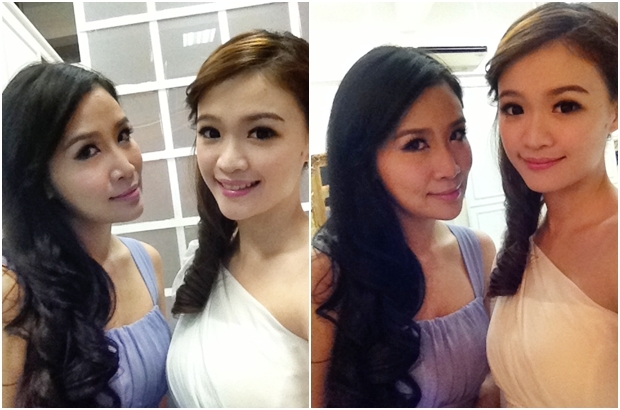 I was at La Belle’s studio and my make-up was done by La Belle’s MUA whom I know her. Wow! This time round, I had Susanna who I introduced her to this shoot, the bubbly Jasmine who I know her from the previous shoot and Shannon the F1 girl. The shoot went very smoothly and we had lots of fun. Here are some of the pictures taken on that day. The official photos were not out yet. 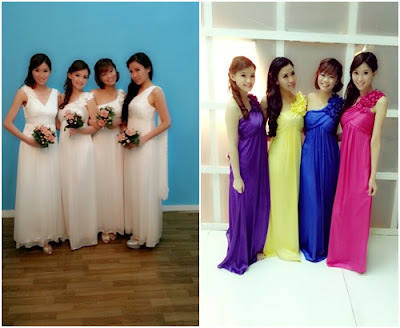 Super love their bridesmaid dresses! With the hottie - Susanna. The rest are taken from Jasmine's camera. Spot the bridesmaid dress that we are wearing? Pretty right. Personally I love this series! It does come with a longer version actually. My make-up and hairdo of the day. Kinda like the outlook that they have given me. Hi Katty, don't mind to share how did u actually get this job? I mean how do you know their boss?